Natalia and her school worked really hard, making a big difference in the lives of a special community in the Dominican Republic. Coming down with her school, the group knew that they were going to be building a house for a family as well as a much-needed medical clinic that would serve the nearby communities. 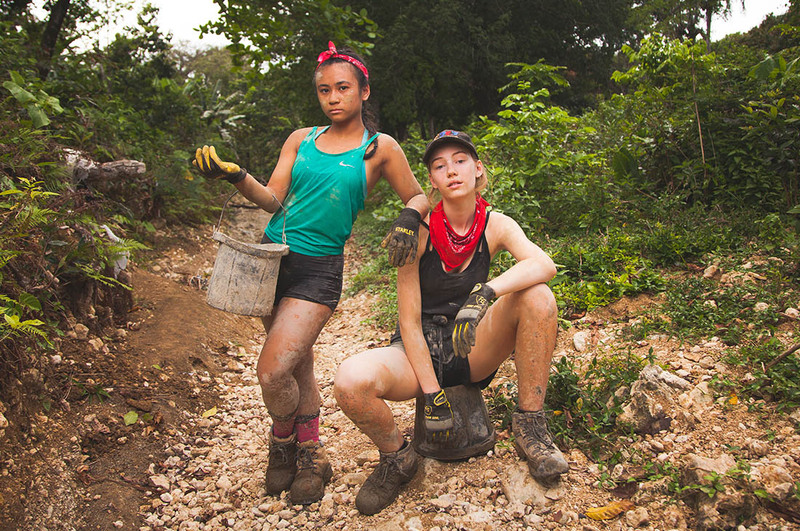 What they didn’t know was that they’d be swept up in an end-of-day photoshoot on the worksite. We know that kindness takes a bit of effort and can sometimes be a little messy, so along with photographer Chaydin Inverarity, we wanted to highlight this and surprised the group at the end of a long, tiring work day. I heard about Live Different Builds in my first year of high school. Gonzaga, my high school, does annual Builds with Live Different. 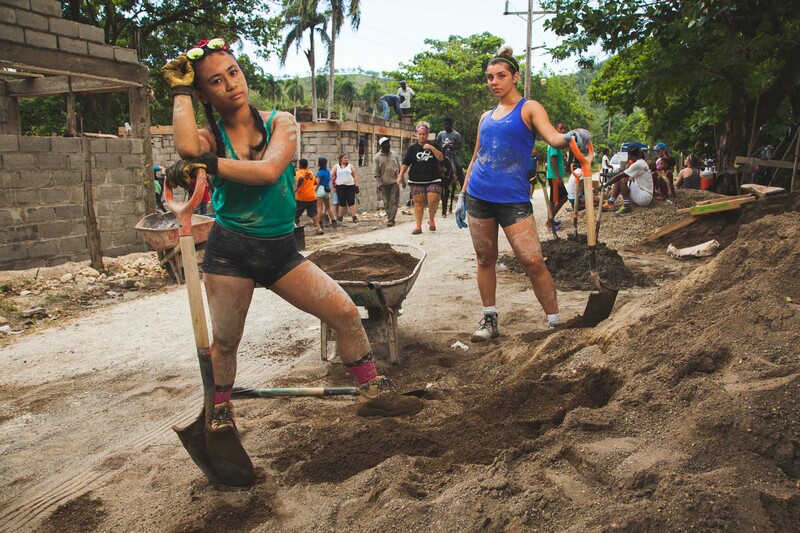 Why did you want to join us as a volunteer in the Dominican Republic? As soon as I saw the pictures and heard some of the stories from my peers and teachers who had come back from the trip, I immediately knew I wanted to participate as a volunteer. What was the highlight from your Build? There are so many great memories I have from that trip it’s hard to pick just one. One of my fondest memories I have is when I met this sweet little boy named David. Every Build day, we took a lunch break at a nearby school/church that was down the road from the site. Dozens of kids would rush us to finish our lunch to come outside and play with them. Some of us even went to see the kids before we went to eat. Once I stepped onto the playground for the first time I was astounded. My fellow peers had all found a child to play with, everyone was smiling and laughing (it really was a sight to see). I vividly remember seeing a little boy off the side, not really engaging in any games or interacting with anyone. With the broken Spanish I had, I mustered up the courage to walk over to this little boy and ask what his name was and if he wanted to play. In a heartbeat, he climbed onto my back and we started running around with everyone else. The smile that grew on his face is something I hope to never forget. Looking around that playground, I can honestly say I’ve never seen such an abundance of genuine laughter and smiles all in one place all at the same time. Another memory I have was probably a few days into building on the site. In the middle of the site, I don’t exactly remember how or why but I paused and just looked around me and saw everyone working together. Everywhere I looked there were bucket lines, cement mixes, pickaxes and shovels being put into use to get the job done. Seeing everyone work together as a unit was so surreal. It then occurred to me that we were really doing it, the house and the clinic were slowly coming together; the walls being built to ensure a family’s safety, a roof to ensure that when it rained the family shouldn’t worry, rooms for the sick to come and wait to be treated. It became clear at that moment that it was really happening. You were just crushing some of those cement mixes. How did you find the work? I will be completely honest when I say that working on this Build was one of the most physically demanding things I’ve ever endured. The mixes were not easy, and if I needed to, I’d swap out to catch my breath. 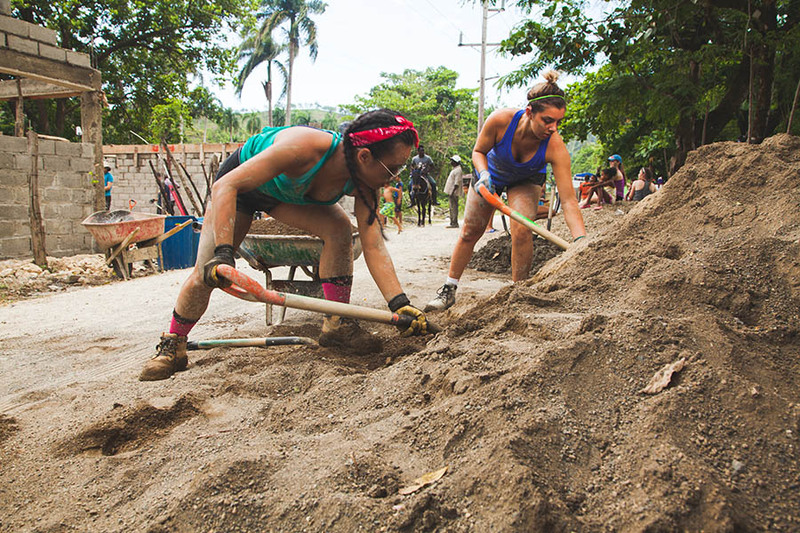 Nonetheless, I tried to get in on as many mixes or bucket lines as I could, which allowed me to get to know the construction workers pretty well since they spoke Creole and I could speak French. After realizing you were in the middle of a surprise photo shoot, what did you think when you saw the final pictures and video? I’m not really one for pictures, I’ll be honest. That being said, the surprise photo shoot and video really pushed me out of my comfort zone and caught me by surprise. The fact that I’m in Instagram posts, campaign posters and videos that are seen by so many people still baffles me. Every time one of my friends sees me on their feed, they’ll screenshot it and send it to me and be like, “look it’s you!”. I’m taken aback each time but it gives me an opportunity to reminisce, which I appreciate. What did you take away from your experience on a Live Different Build? Live Different’s saying “life is about people” proved to be true each and every day of that Build. While I got the chance to be part of something that gave a family a home and would benefit the health of the community, I am eternally grateful for everyone on that trip that gave me something that—while intangible—still serves as something for me to hang onto, to look back at and to remind me that there are still people in this world that genuinely want to do good. I am incredibly thankful for the community for opening up their hearts to us and making us a part of their story. When I find myself thinking back to those 8 days that would go on to change my life, my heart honestly just feels so full. Interested in making a difference in the lives of others or want to learn more?